The first official Star Trek roleplaying game (RPG), Star Trek: Adventure Gaming in the Final Frontier, was released in 1978 and there have been a number of official Star Trek RPGs since that time. The latest entry in this long tradition is Star Trek Adventures, which includes missions in the eras of The Original Series and The Next Generation. 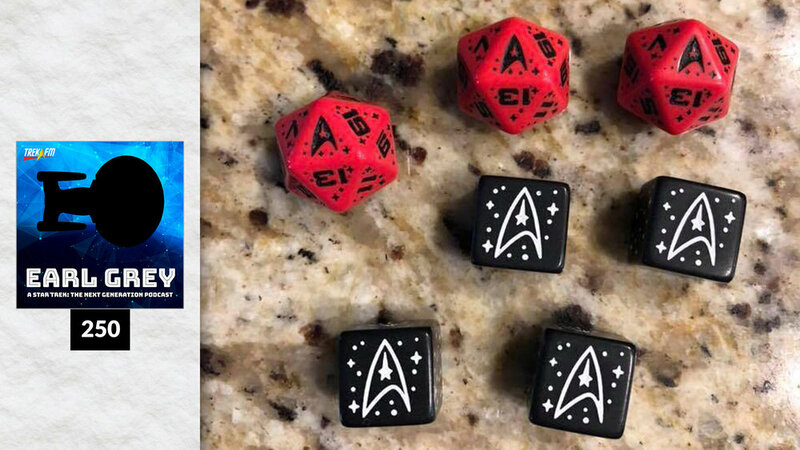 In this episode of Earl Grey, hosts Richard Marquez, Amy Nelson, and Justin Oser play a mission from The Next Generation era from the new Star Trek Adventures roleplaying game. Richard serves the role of gamemaster while Amy and Justin have created their own characters for the game. Richard has played many roleplaying games, but this is the first roleplaying game Amy and Justin have ever played. Find out how well they do and if their characters can survive the mission!